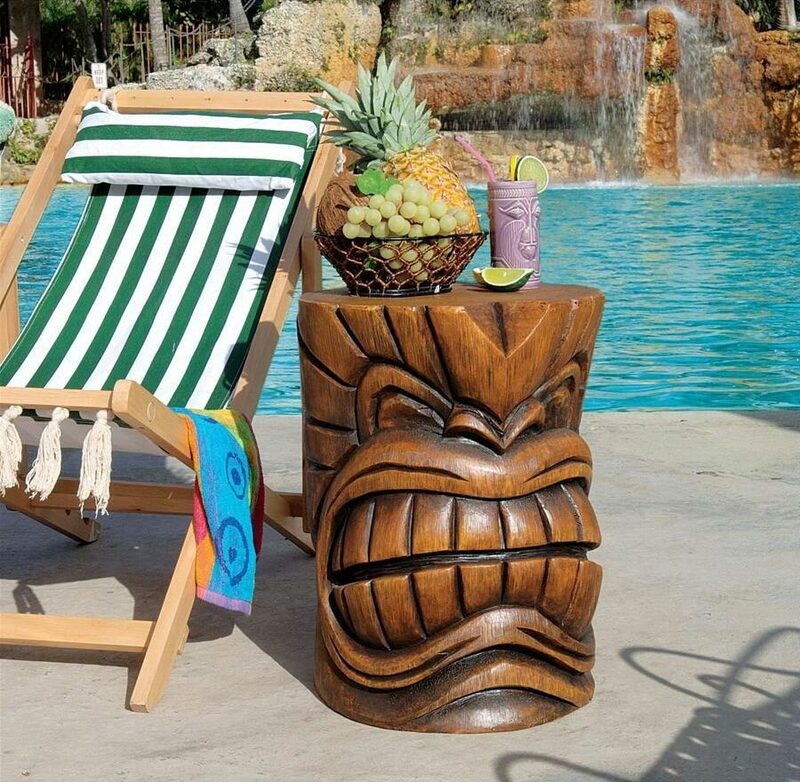 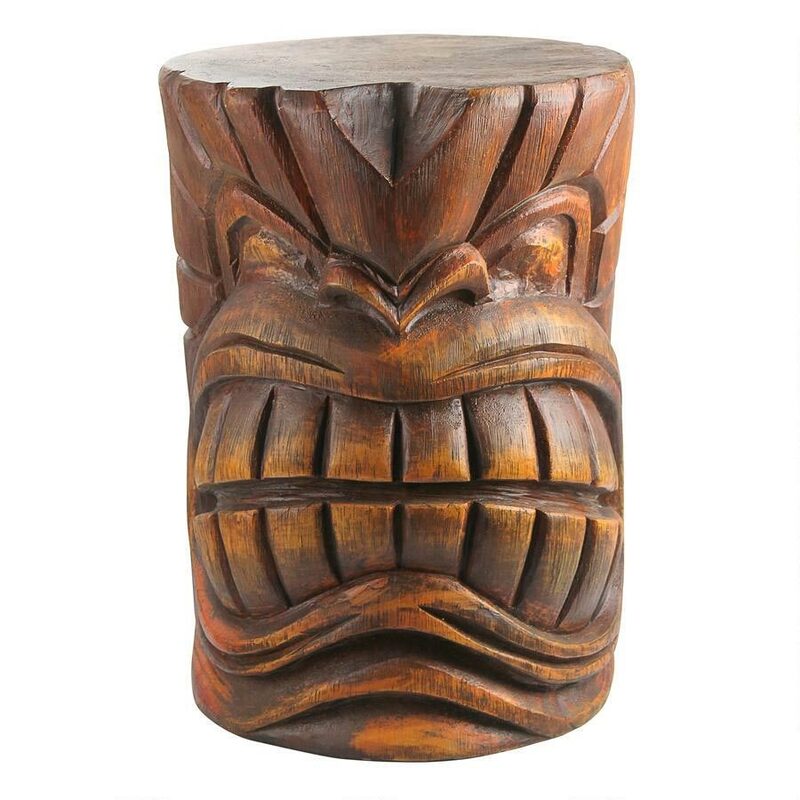 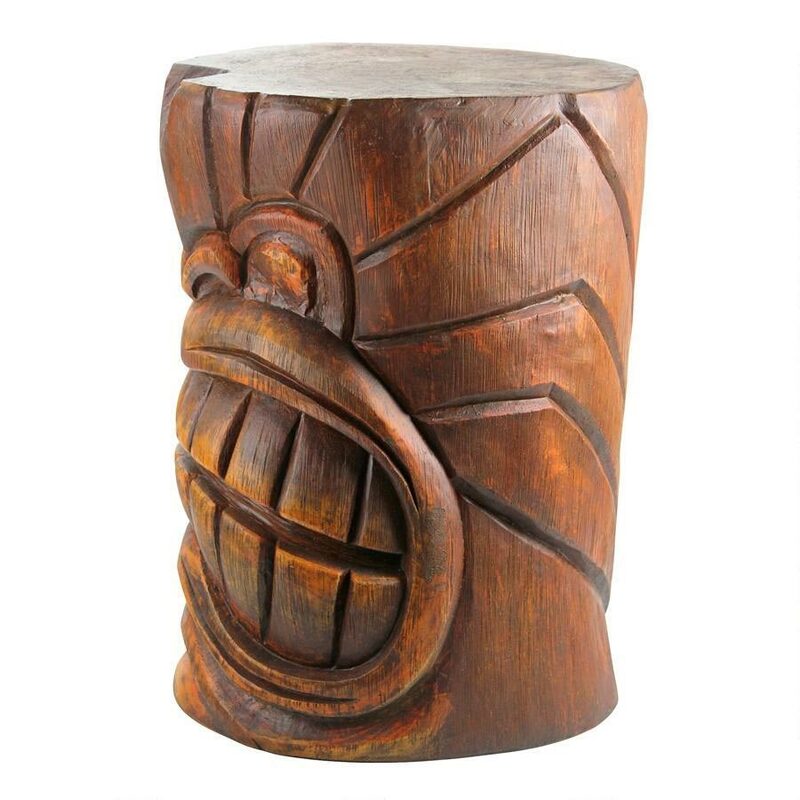 Add some fun to your outdoor space this summer with these Grande Tiki Sculptural Tables. 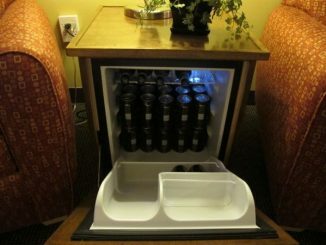 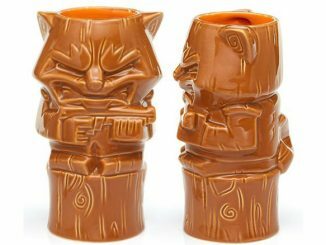 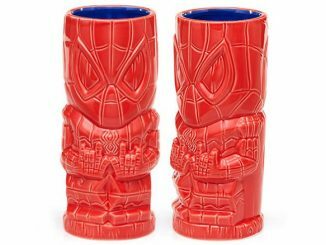 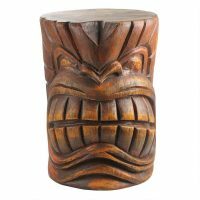 They’re a great way to be playfully primitive with a fun Polynesian style that would look great by your pool or patio. 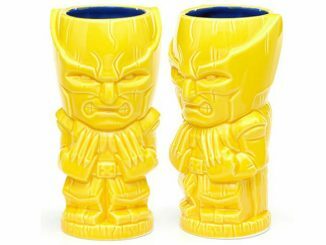 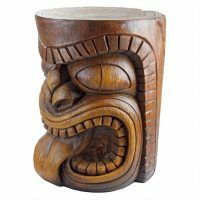 These Grande Tiki God Tables come in two versions. 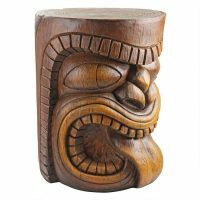 One is called the Kanaloa and is showing its teeth, while the other is Lono and is sticking out its tongue. 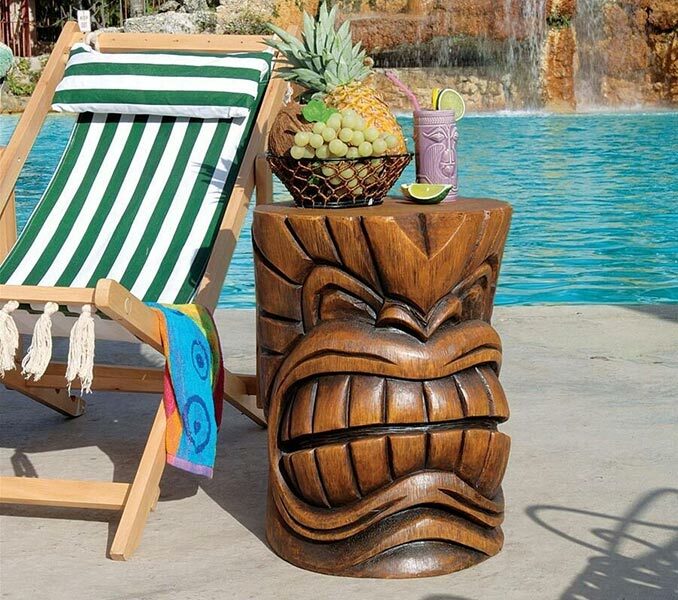 Both exotic tables are made from faux wood-grained designer resin for weather resistance and long-term duability. 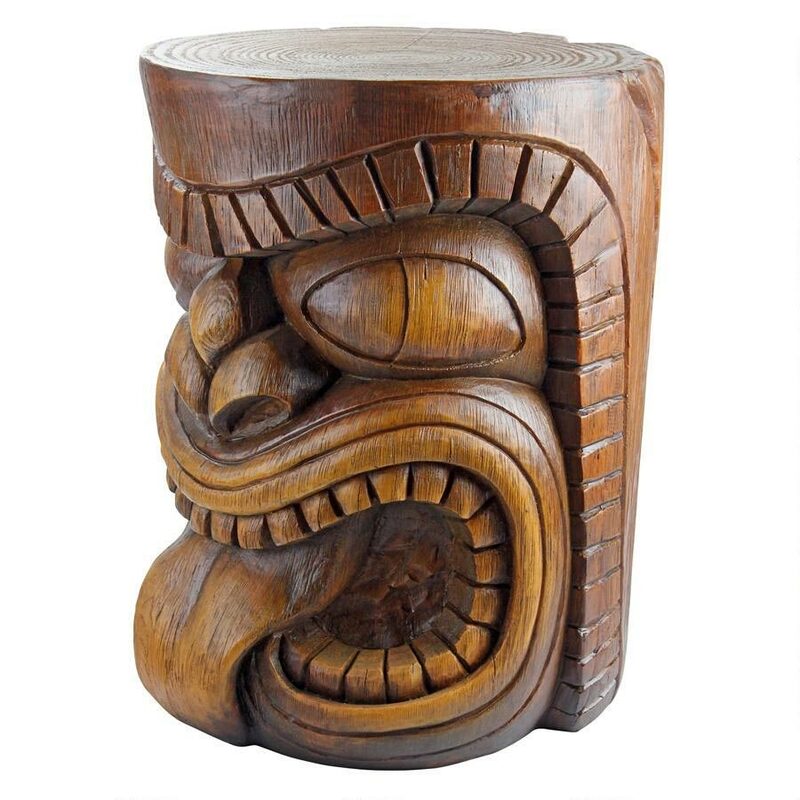 For more than a decade, artist Trent Smith has been using his creative talents to hand-carve tikis from trees. 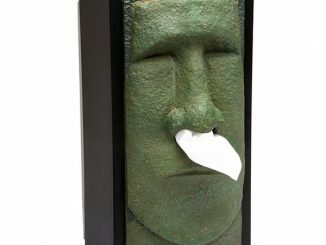 Echoing his original carvings, this exotic sculpture serves guests with Polynesian style as warm as its South Seas home. 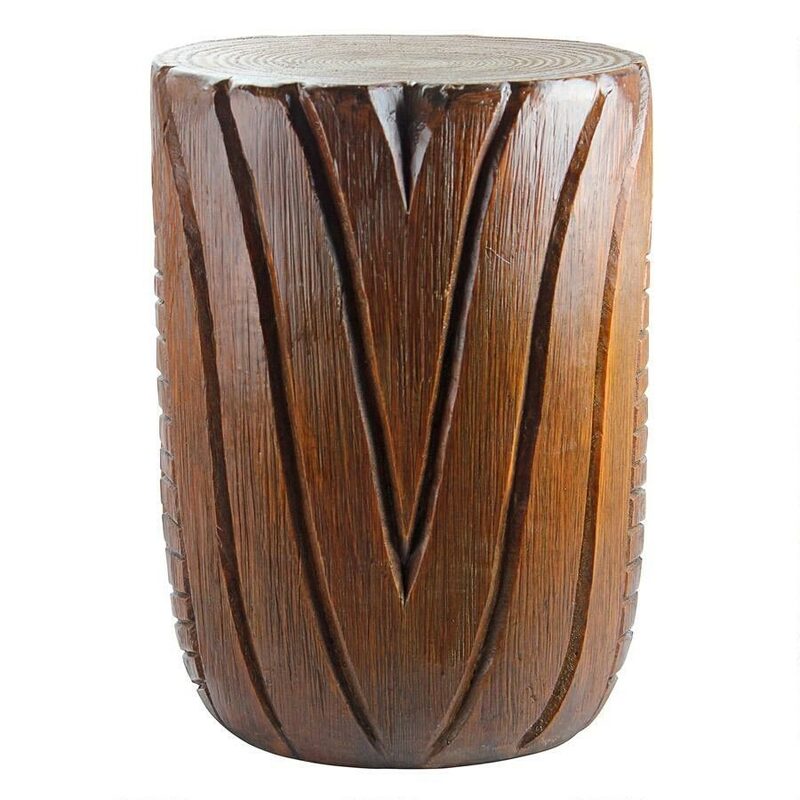 Our island survivor is cast exclusively for Toscano in faux wood-grained designer resin. 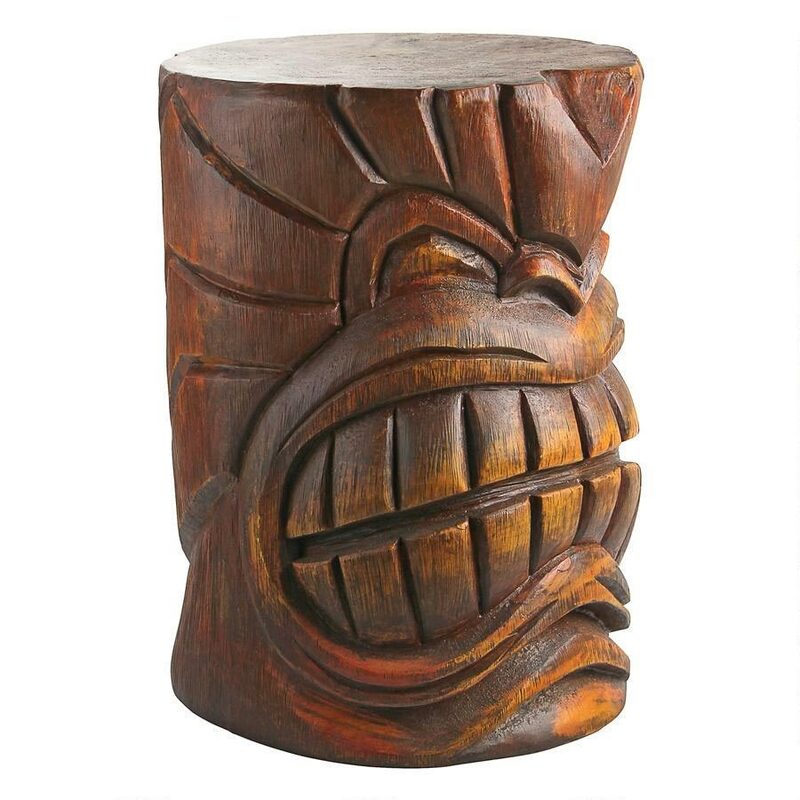 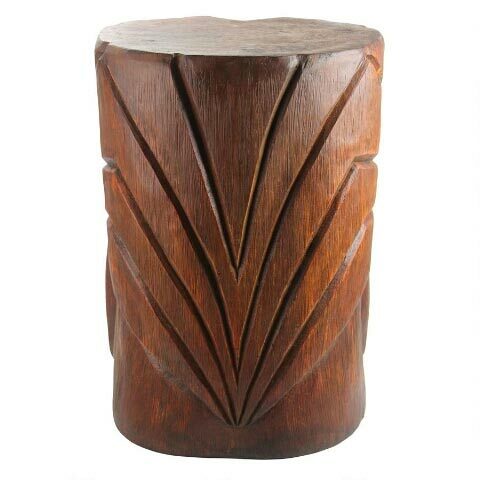 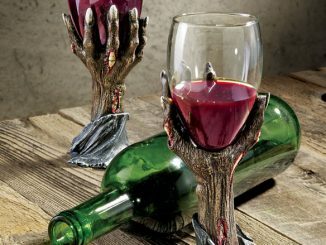 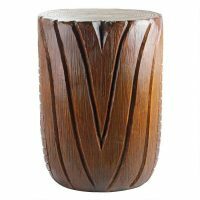 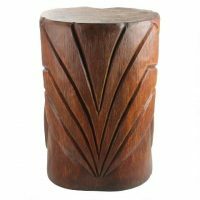 The Kanaloa (Teeth) Grand Tiki Sculptural Table is $125 at Design Toscano. 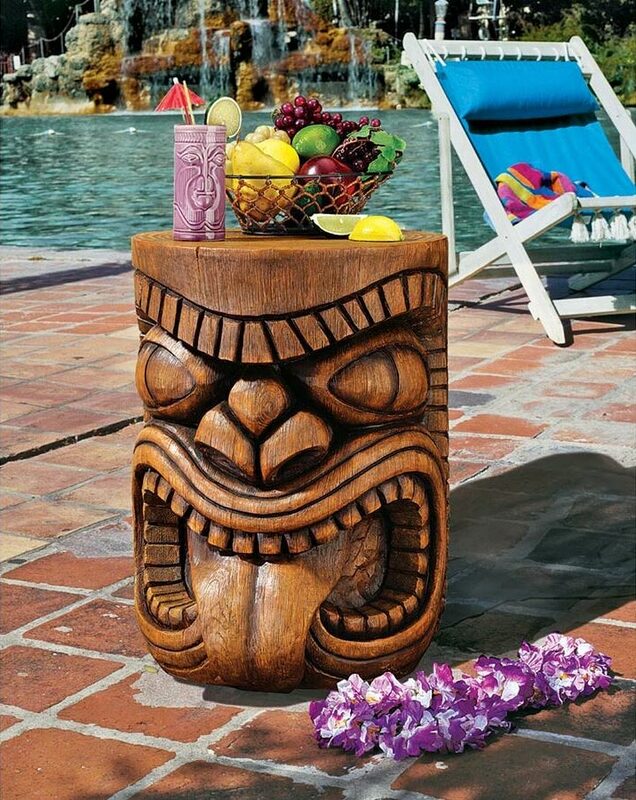 Buy two or more of the Lono or Kanaloa Tiki God Tables and the price reduces to $115 each. 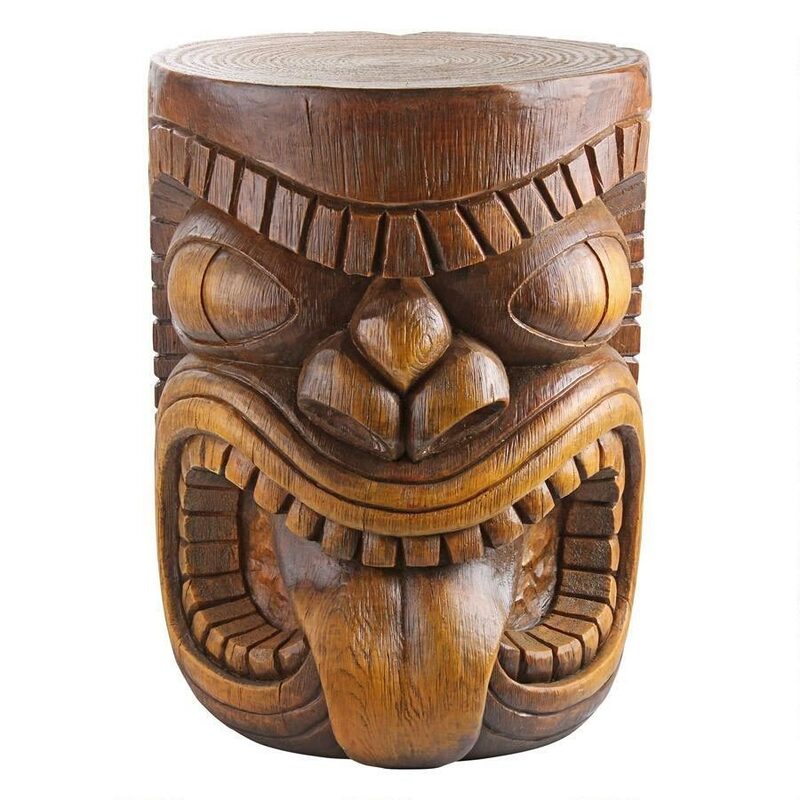 This exotic sculpture serves guests with Polynesian style as warm as its South Seas home. 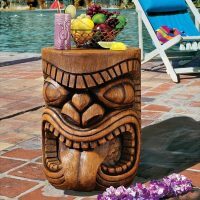 Echoing original Tiki carvings, our island survivor is cast exclusively for Design Toscano in faux wood-grained designer resin. 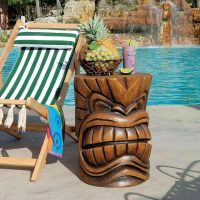 Our tropical chieftain is sculpted 360 degrees so guests can admire him poolside or in a retro bar. The Lono (Tongue) Grand Tiki Sculptural Table is $125 at Design Toscano. 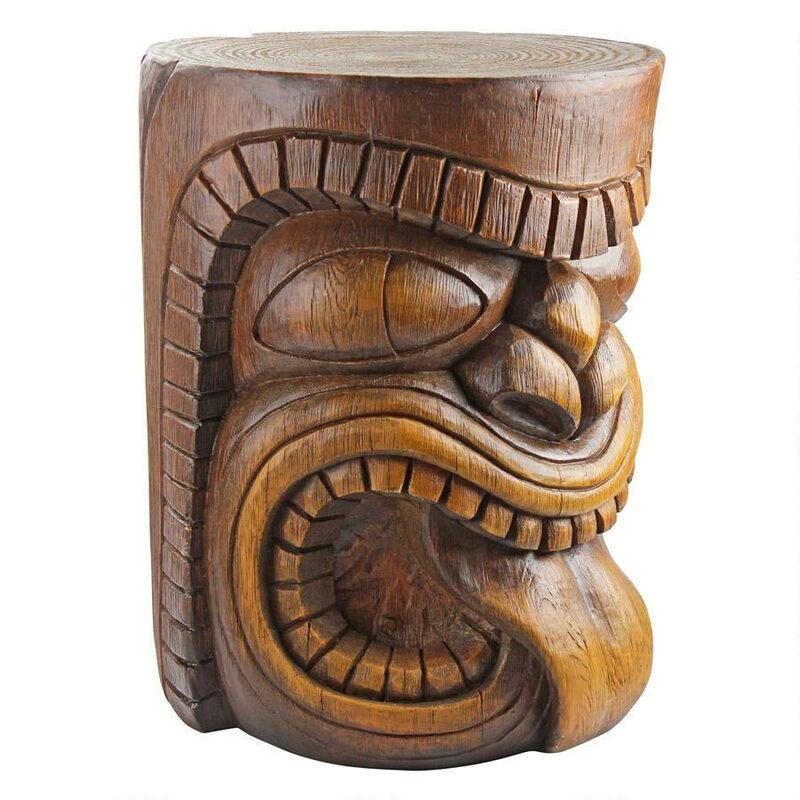 Buy two or more of the Lono or Kanaloa Tiki God Tables and the price reduces to $115 each.